lt;stronggt;RCPQ630lt;/stronggt;lt;BR/gt;Rubbermaid Reusable Cleaning Clothslt;BR/gt;Color coded products help reduce cross contamination by differentiating area of use. Patent pending zig-zag scrubbing strips and high quality knitting for better absorption and debris pickup. Double-finished edges provide durability and shape retention. Durable up to 500 launderings. Bleach safe. Hypoallergenic, lint-free, nonabrasive. 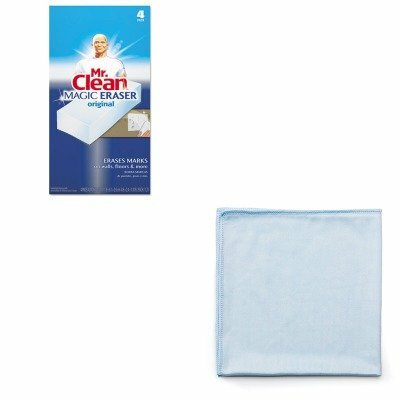 Towel/Wipe Type: Reusable Application: General Purpose.lt;BR/gt;lt;BR/gt;lt;stronggt;PAG82027lt;/stronggt;lt;BR/gt;Rubbermaid Reusable Cleaning Clothslt;BR/gt;Disposable, soft pads erase set-in dirt and grime quickly and easily. They remove scuff marks, dirt and tough crayon marks from floors, walls and doors. Safe to use no gloves or chemicals necessary. Application: Doors Floors Walls.